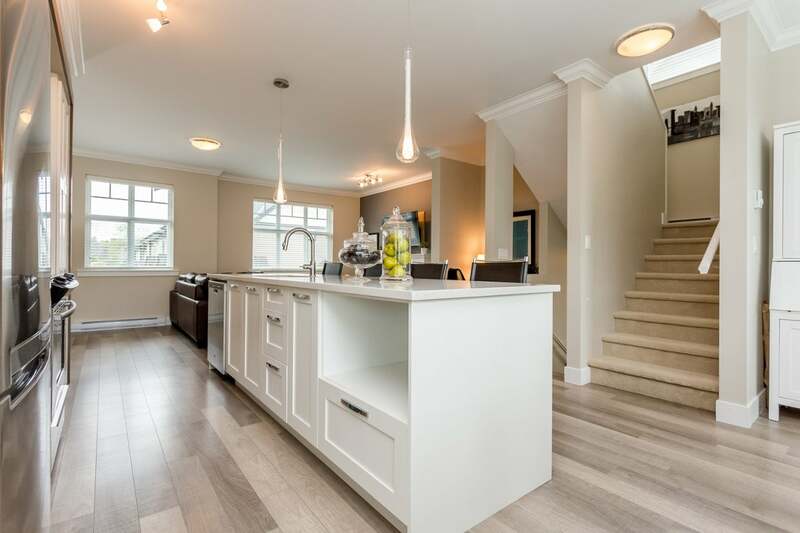 Gorgeous Canvas End Townhouse! 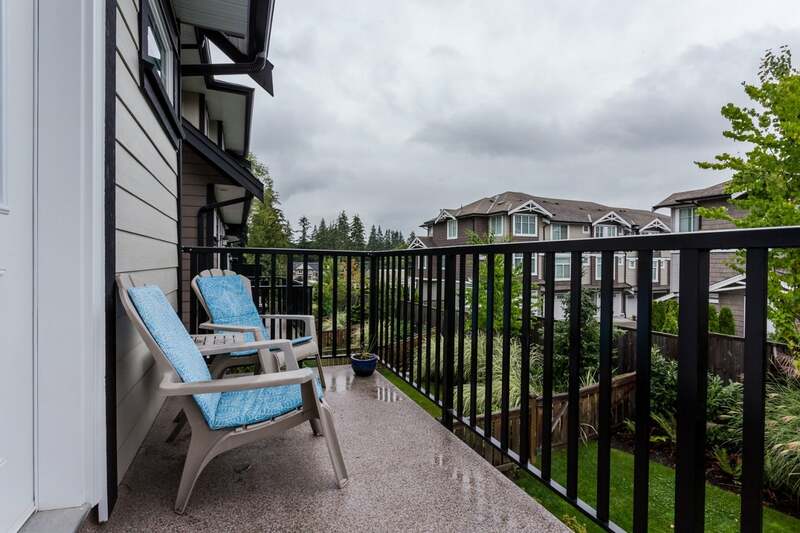 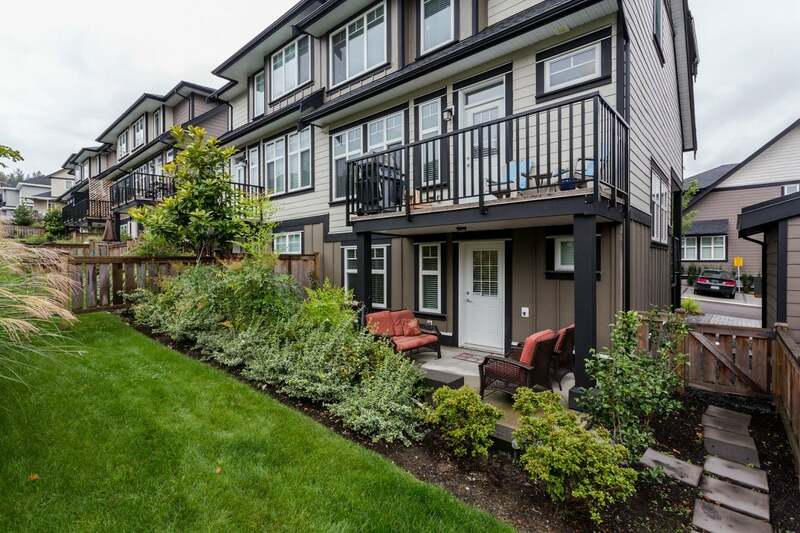 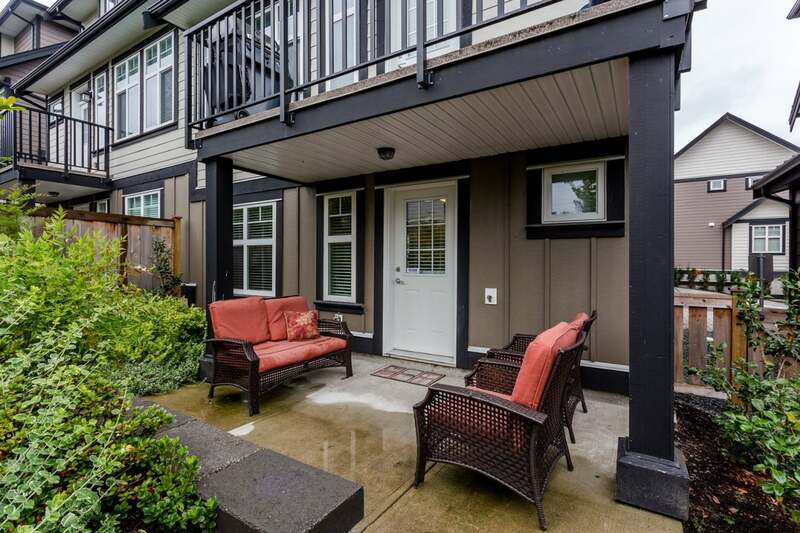 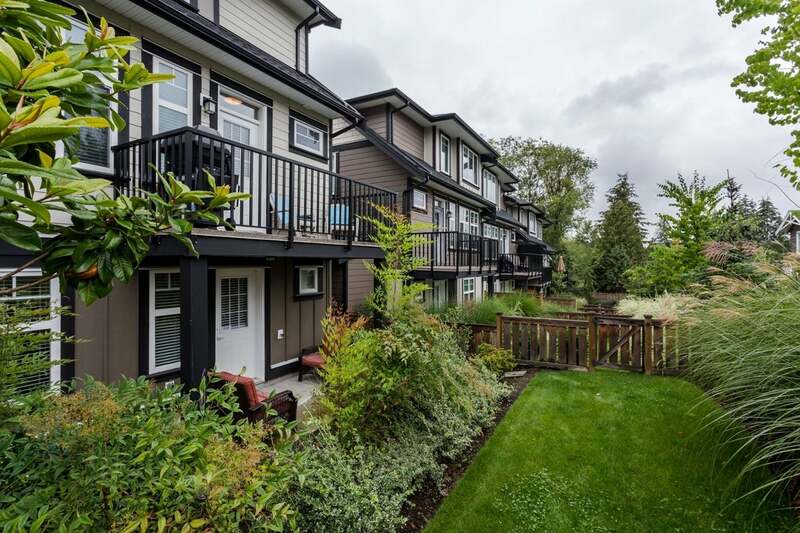 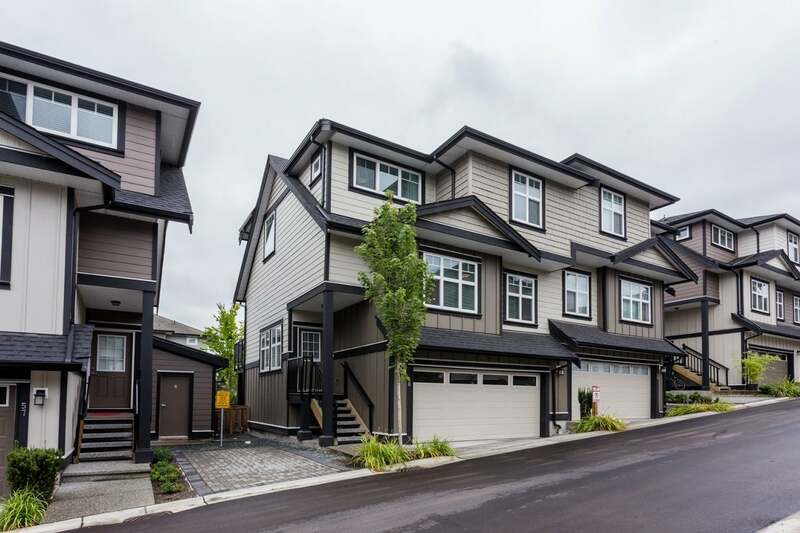 This three bedroom executive townhome with double car garage has an unbeatable location in the complex. 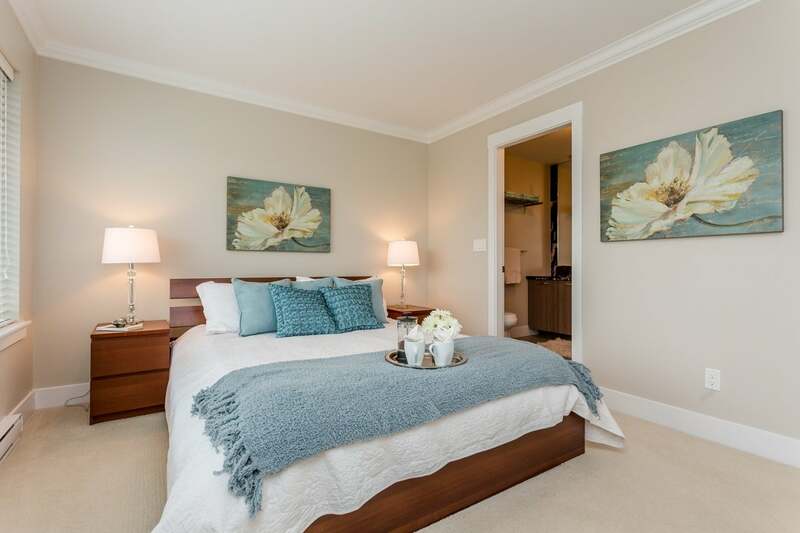 Quiet, private, and beautifully taken care of, this home will delight you from the moment you enter the front door. 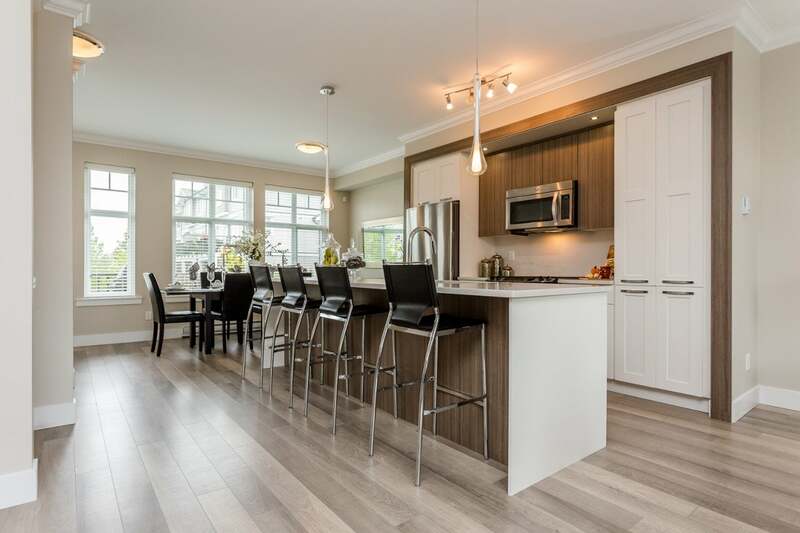 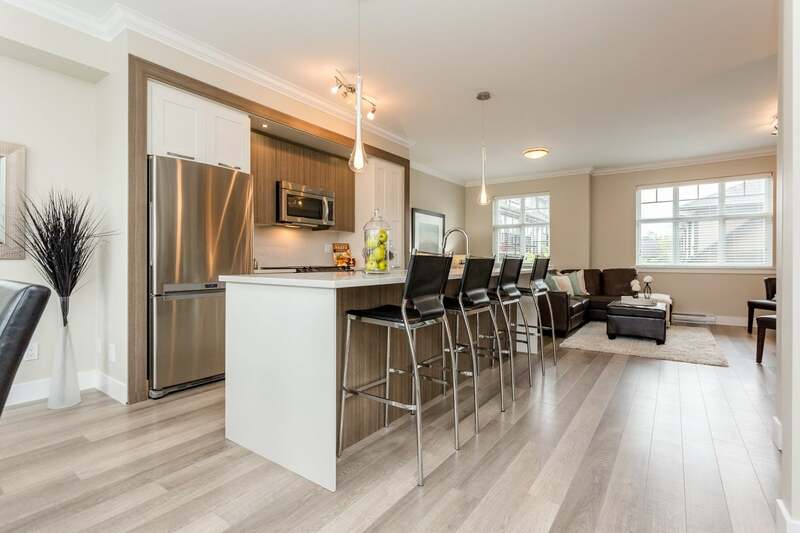 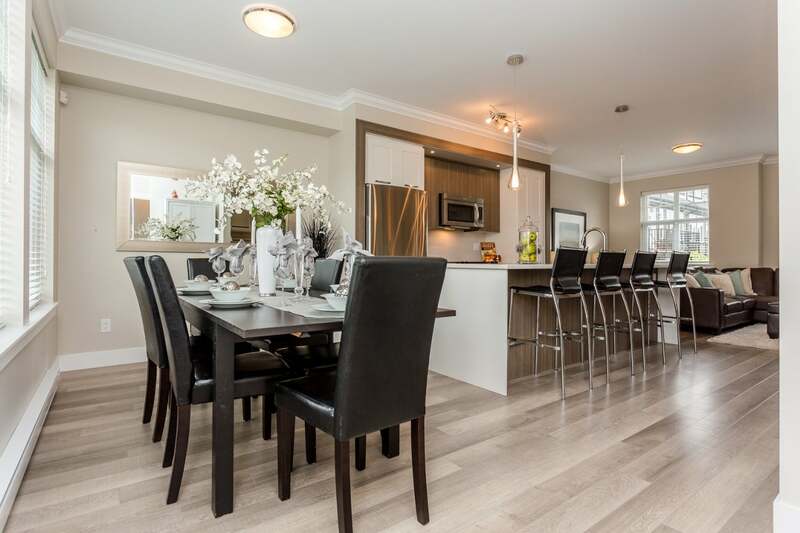 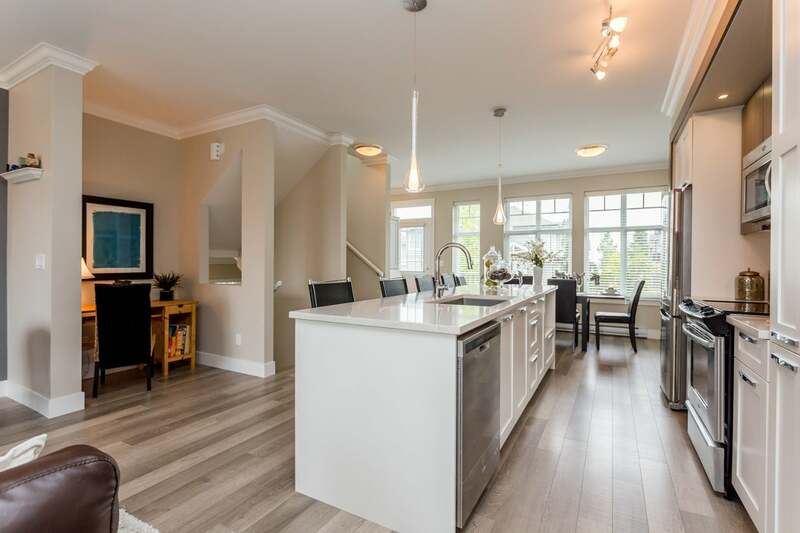 The open concept layout on the main floor centres around the stunning kitchen with its oversize island, quartz counters, white shaker cabinets, and S/S appliances. 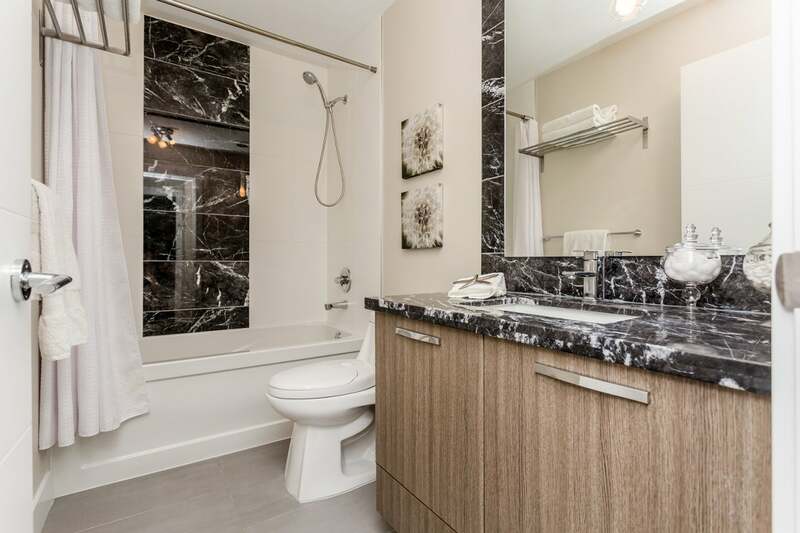 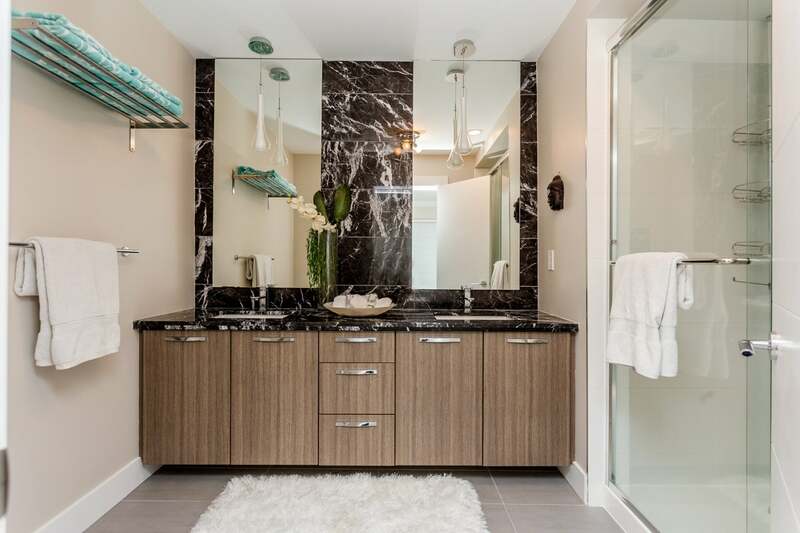 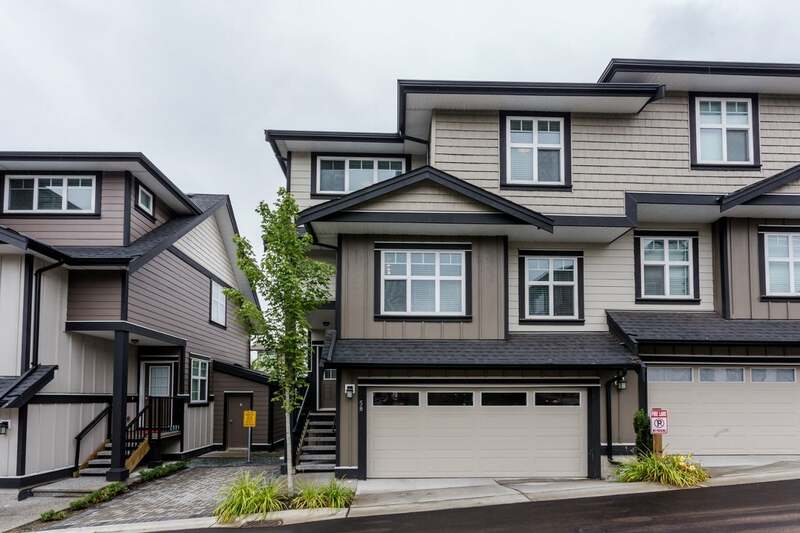 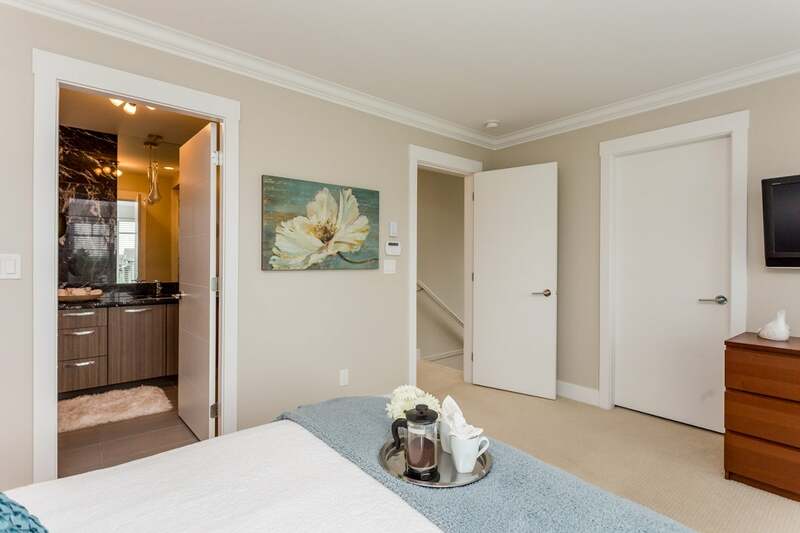 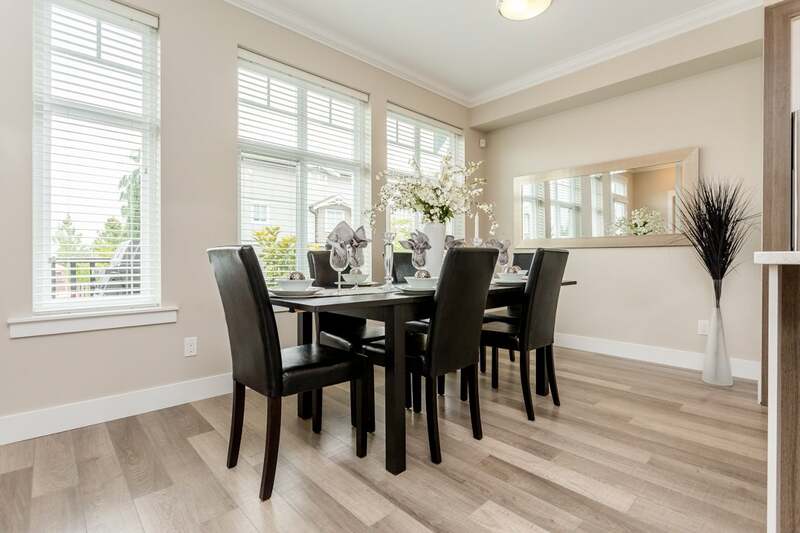 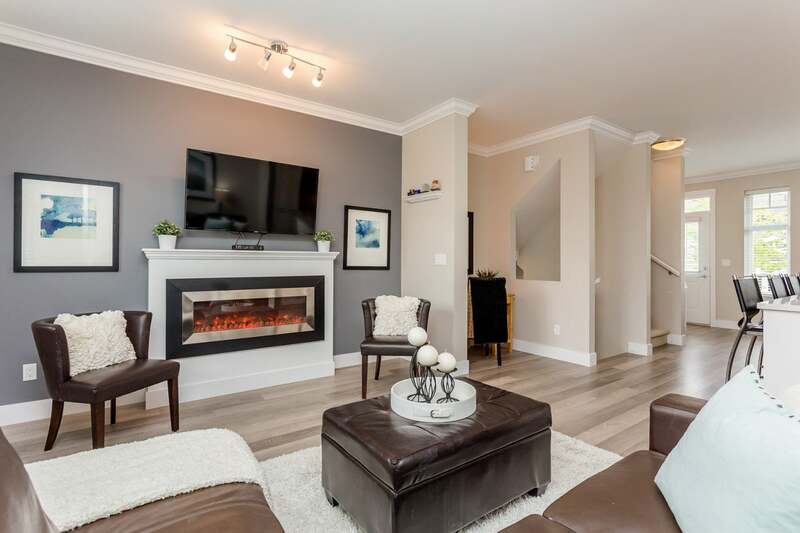 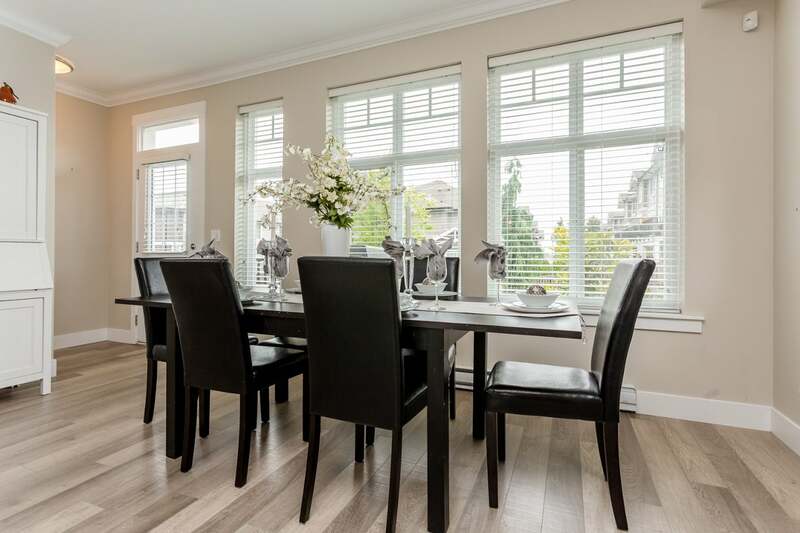 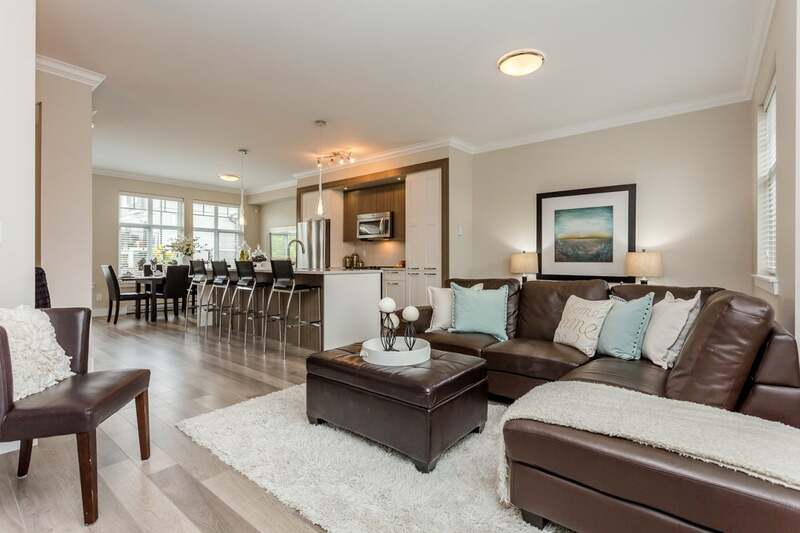 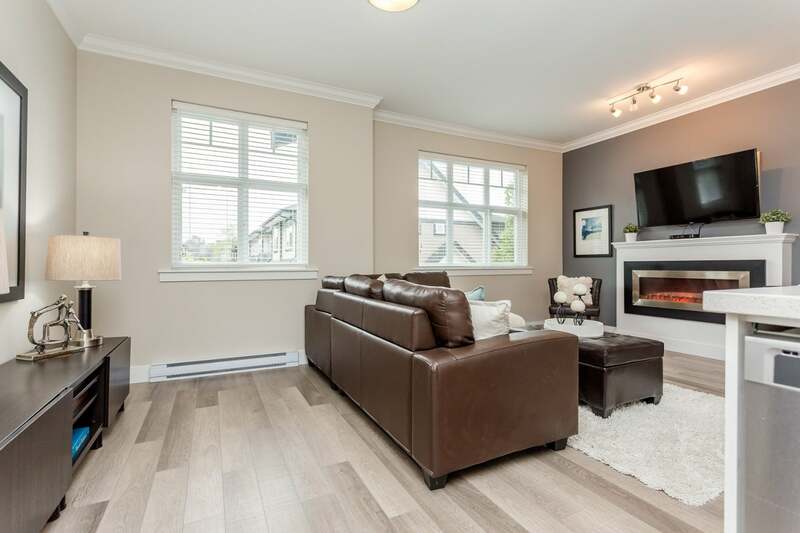 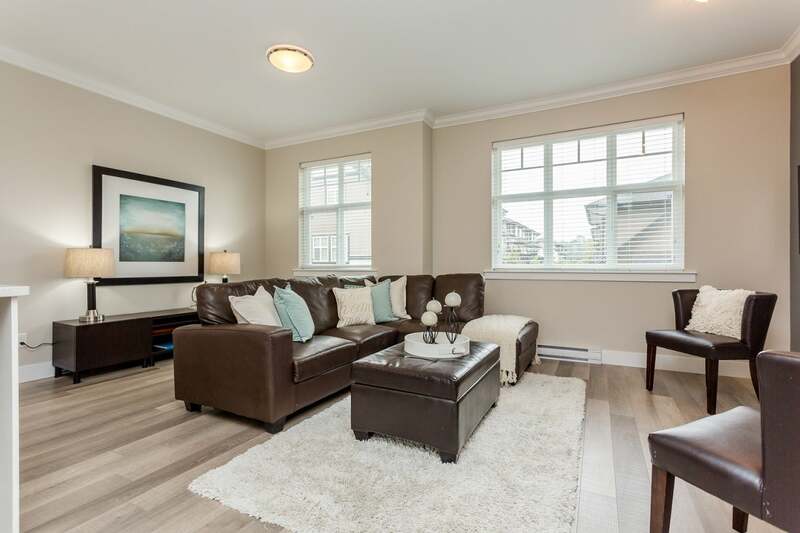 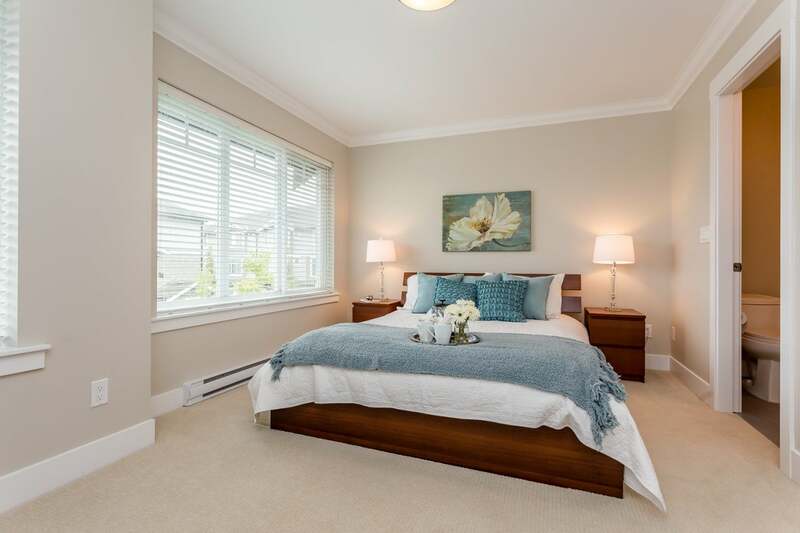 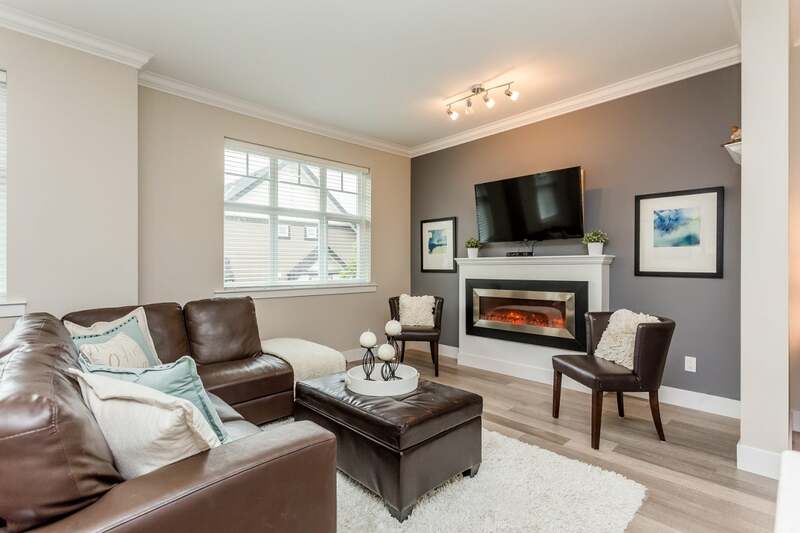 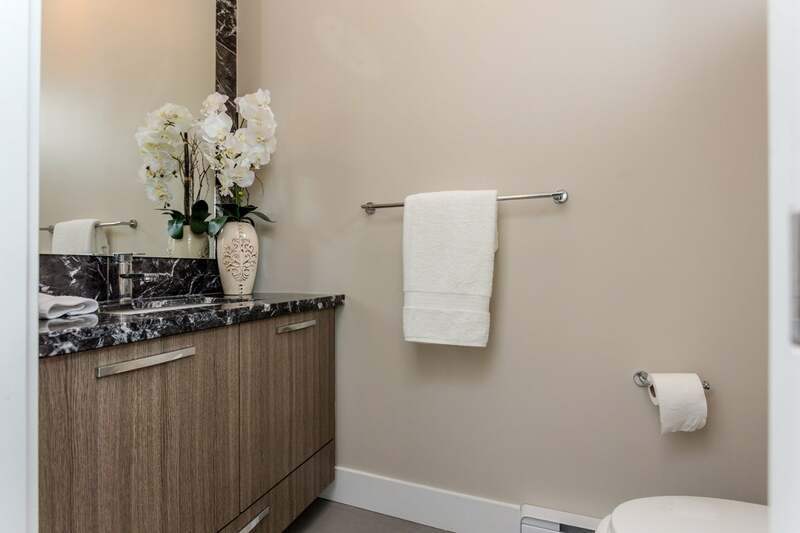 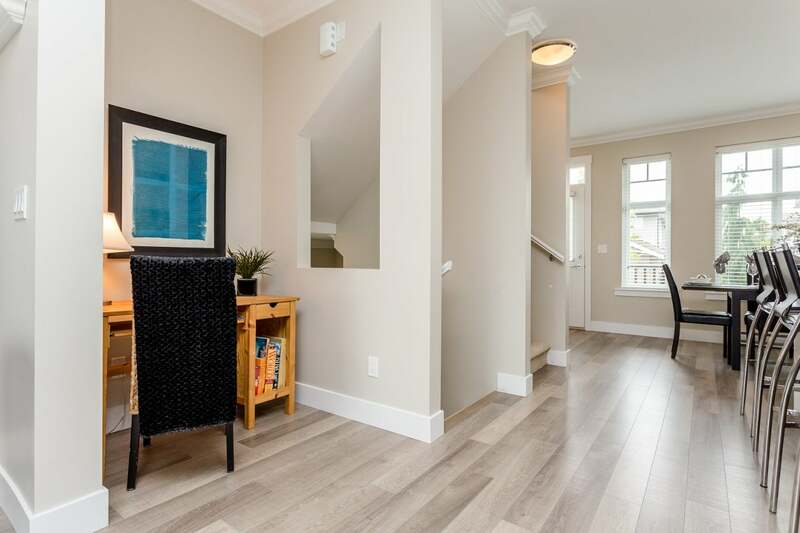 Add in 9 ft ceilings, a contemporary gas fireplace, soothing designer paint colours, gorgeous flooring, plus a bonus powder room on the main level for a truly exceptional home. 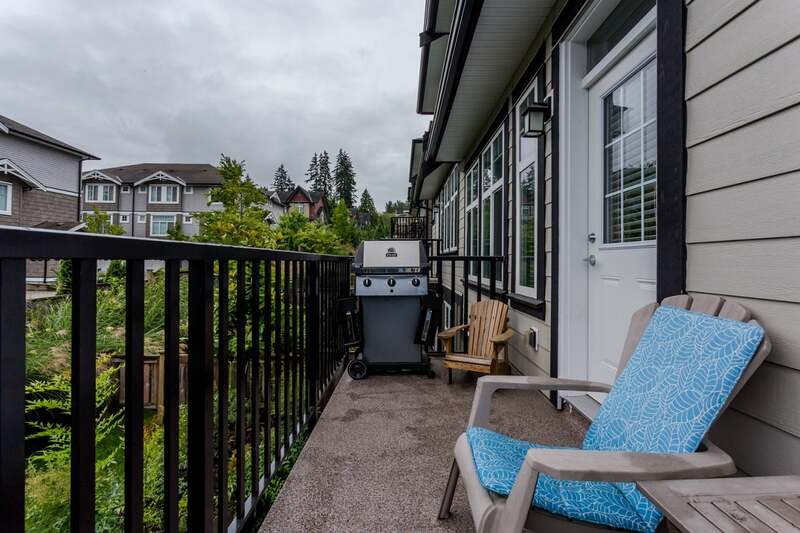 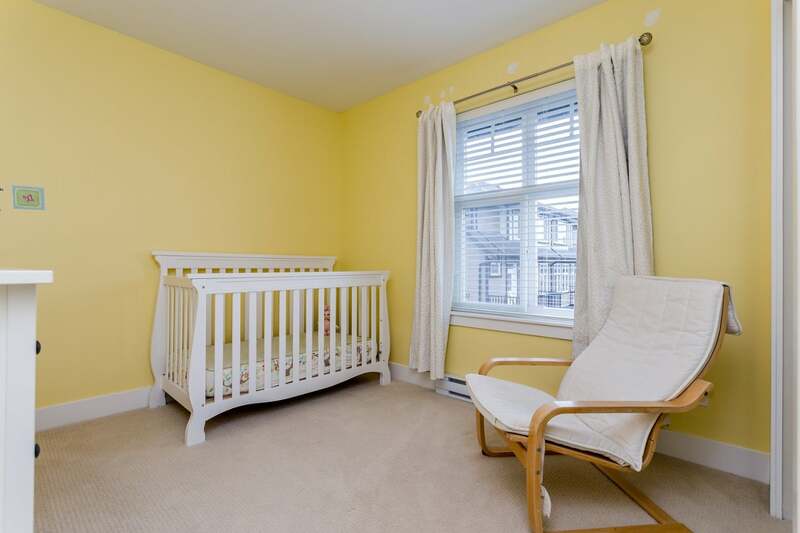 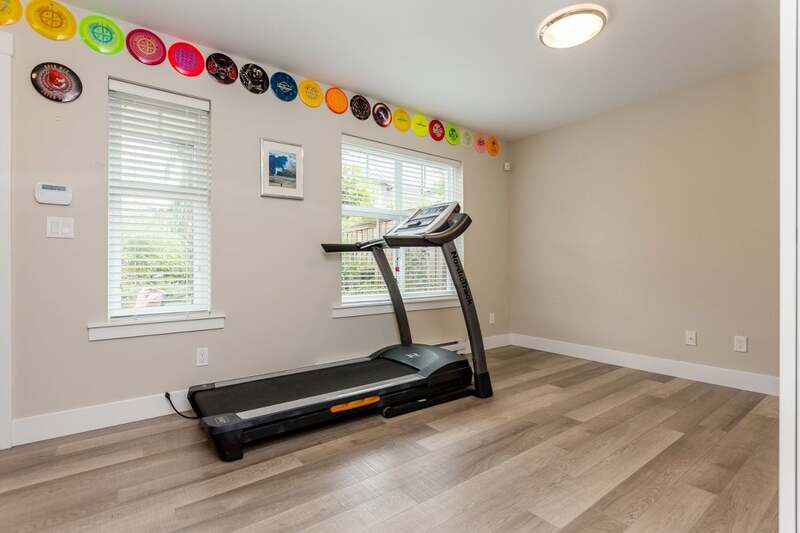 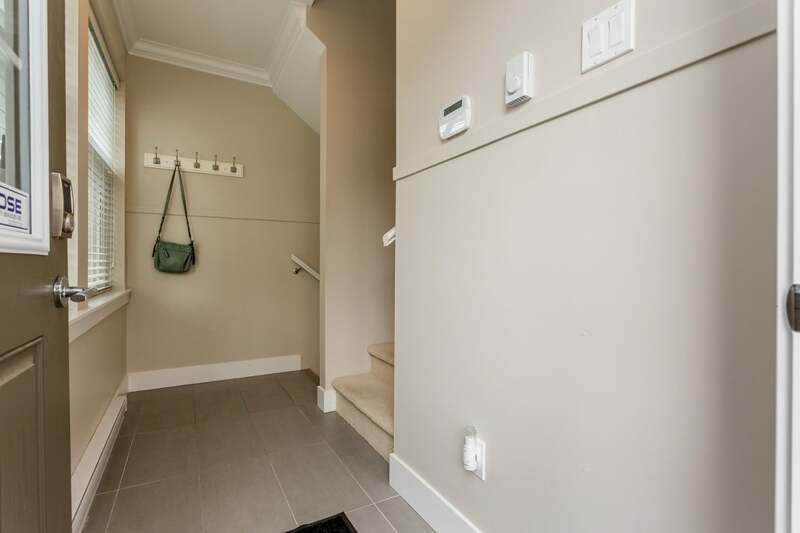 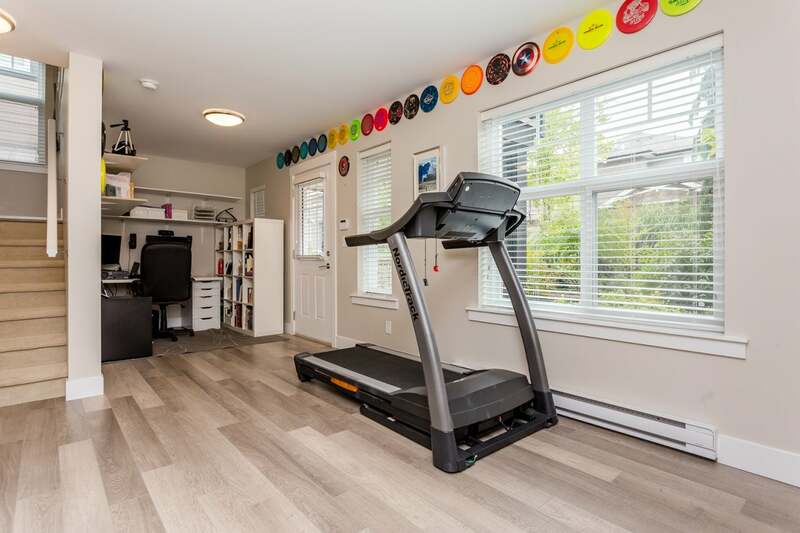 The full walk out basement with rec room opens onto a private patio and nicely landscaped backyard area. 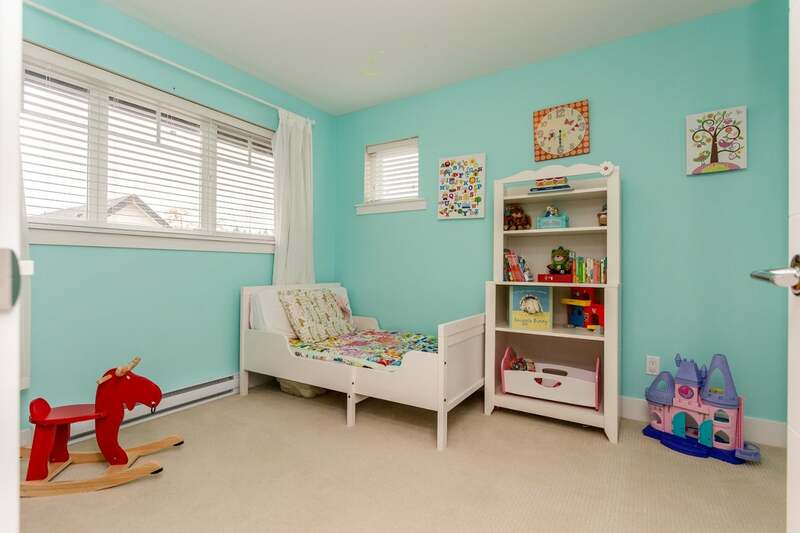 Near shops, schools, and transportation this home is truly a gem! 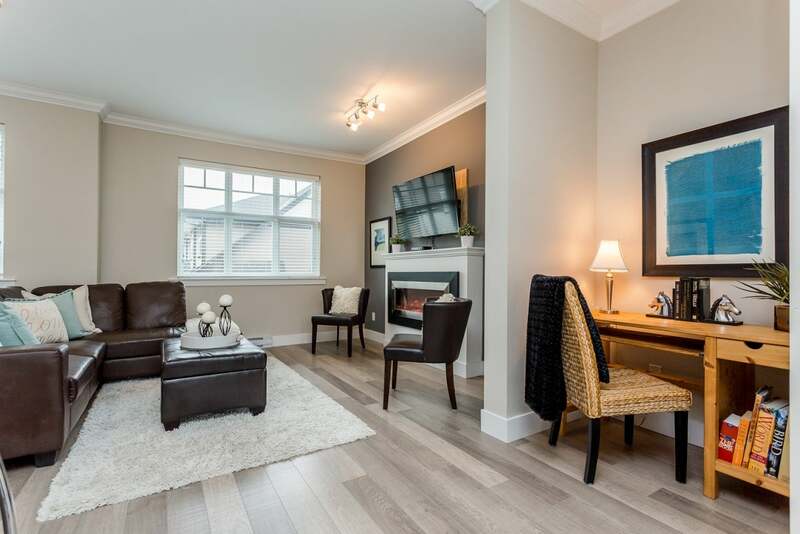 Open Sat & Sun 2-4pm.